As captain of my college fencing team, I learned to appreciate the importance of developing trust with my teammates, opponents and the referees, and other lessons that benefited my development as a trial lawyer, such as knowing when to attack and when to remain defensive minded. The tactics of good fencing are actually quite similar to those of a good litigator. Mr. Barreiro focuses his practice in the representation of individuals and businesses in complex commercial litigation, including international litigation and chancery matters. He has served clients in a variety of industries, including real estate, financial and mortgage lending, transportation, food and beverage, technology, healthcare, legal, accounting and environmental. Mr. Barreiro is certified by the Supreme Court of New Jersey as a Civil Trial Attorney. His broad-based experience includes restrictive covenant and unfair competition cases, real estate and specific performance disputes, contractual litigation, partnership and shareholder disputes, consumer fraud act litigation for developers and individuals, bankruptcy litigation, professional liability litigation, estate and employment matters, construction litigation, and personal injury cases. Mr. Barreiro also assists clients in Foreign Account Tax Compliance Act (FATCA) cases involving the voluntary disclosure to the Internal Revenue Services of previously unreported income and undisclosed foreign accounts and assets. Representation of a former PSE&G Project Manager (Remediation) nuclear power plant in Salem River, in claims against the utility under New Jersey’s Conscientious Employee Protection Act (CEPA) and Law Against Discrimination (LAD). The employee alleged in his lawsuit filed in Superior Court that he was fired for reporting that a PSE&G contractor had dumped illegally discharged contaminated wastewater collected from a PSE&G superfund site into a Camden municipal sewer drain. Click here to read Law360’s coverage of the Appellate Division’s recent ruling in this whistleblower lawsuit. Representation of a major developer in several Consumer Fraud Act cases concerning construction of condominiums, including several jury trials. Participated with many other lawyers in the firm in the six-month trial of a high-profile undue influence case in the Chancery Division, Bergen County, New Jersey. Representation of a major New Jersey law firm in defense of a RICO, fraud and malpractice case in the Federal District Court of New Jersey. 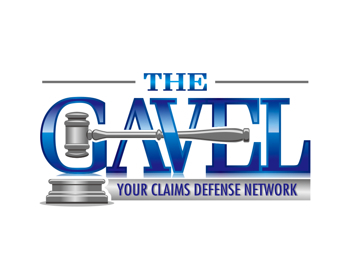 Obtained a favorable settlement in the Federal District Court of New Jersey of fraudulent conveyance claims in excess of $700,000 concerning an international contract dispute. Obtained a no cause verdict after full trial in the Superior Court, Essex County in defense of a tortious interference / breach of loyalty claim against a business that hired a sales person who allegedly stole a price list from her prior employer. Obtained a favorable settlement in an accountant malpractice matter with claims in excess of $1,500,000 on the first day of trial in the Superior Court, Morris County, and a successful settlement of a related fraud claim filed in the New York Supreme Court, Suffolk County after three days of trial. Successfully conducted a private arbitration in an international dispute involving claims in excess of $10,000,000 concerning the distribution of international television programming.